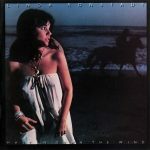 Hasten Down the Wind is the Grammy Award-winning seventh studio album by singer/songwriter/producer Linda Ronstadt. Released in 1976, it became her third straight million-selling album. 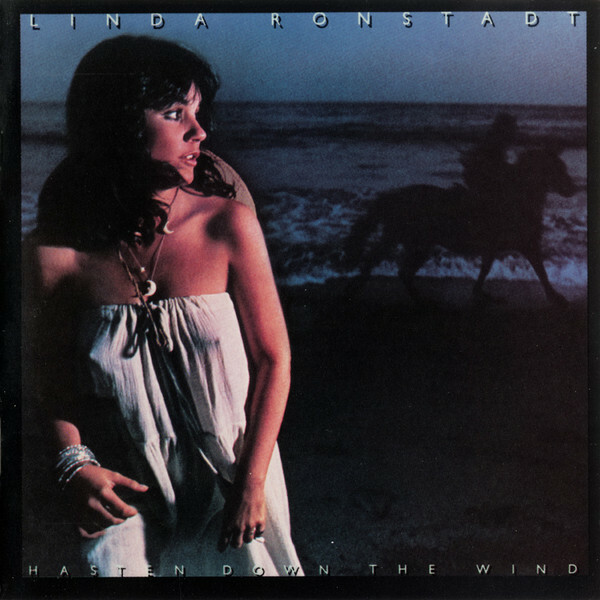 Ronstadt was the first female artist in history to accomplish this feat. The album earned her a Grammy Award for ‘Best Pop Vocal Performance – Female’ in 1977, her second of 13 Grammys. It represented a slight departure from 1974’s Heart Like a Wheel and 1975’s Prisoner in Disguise in that she chose to showcase new songwriters over the traditional country rock sound she had been producing up to that point. A more serious and poignant album than its predecessors, it won critical acclaim. The album showcased songs from artists such as Warren Zevon (“Hasten Down the Wind”) and Karla Bonoff (“Someone to Lay Down Beside Me”), both of whom would soon be making a name for themselves in the singer-songwriter world. The album included a cover of a cover: “The Tattler” by Washington Phillips, which Ry Cooder had re-arranged for his 1974 album Paradise and Lunch. A reworking of the late Patsy Cline’s classic “Crazy” was a Top 10 Country hit for Ronstadt in early 1977. Her third album to go platinum, Hasten Down the Wind spent several weeks in the top three of the Billboard album charts. It was also the second of four number 1 Country albums for her.